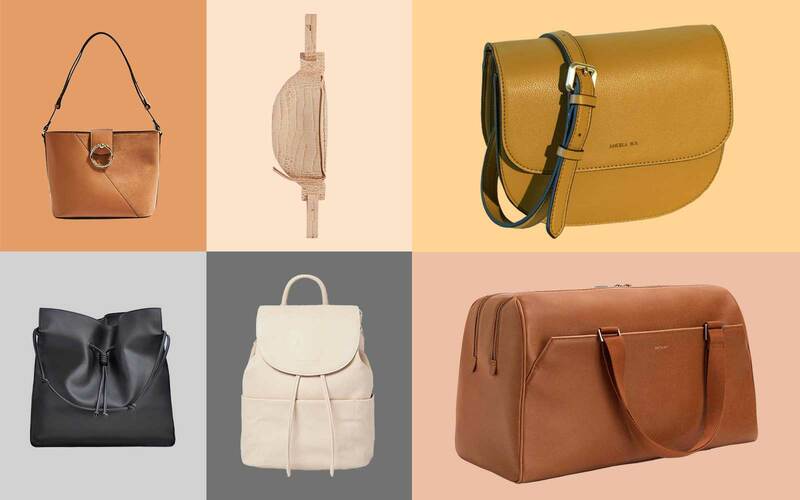 Genuine leather is truly a timeless material. It ages more gracefully than synthetic fabrics, can be treated to repel water and stains, and will develop a rich patina over time. The best part? 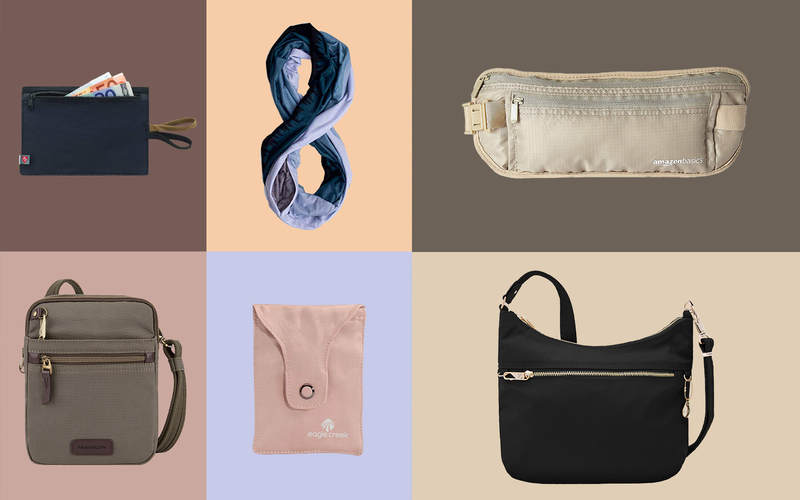 It lends a classic, sophisticated style to any airport ensemble. 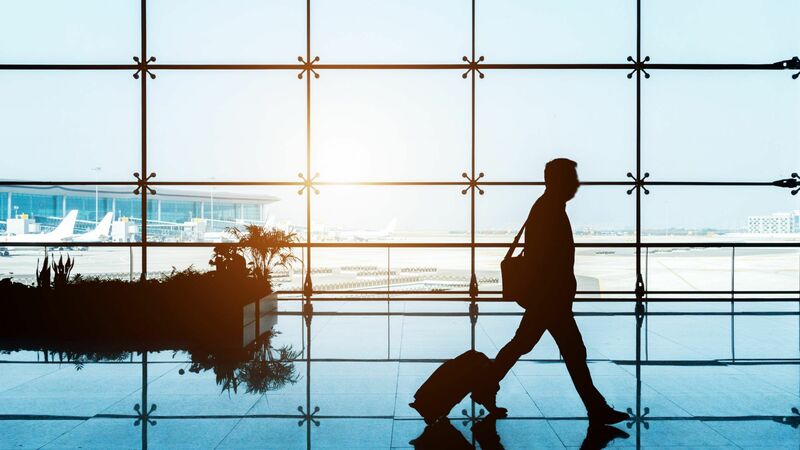 The more durable, the better, too, since frequent fliers will use their bags quite a bit. 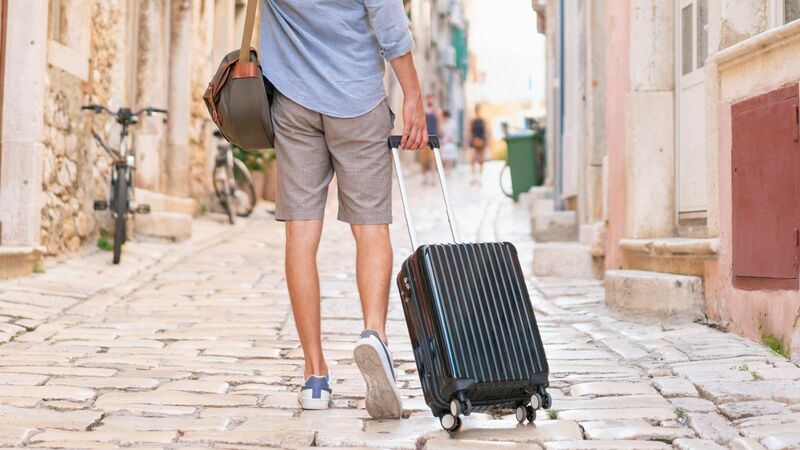 Fortunately, there are plenty of smart-looking leather luggage options for those who are ready for an upgrade. 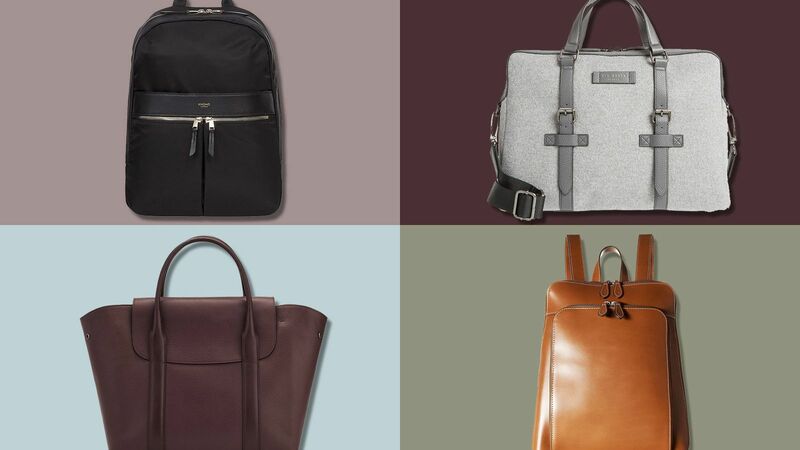 Whether you want something streamlined or fashion-forward — or both — today’s best leather bags offer something to suit everyone's tastes. 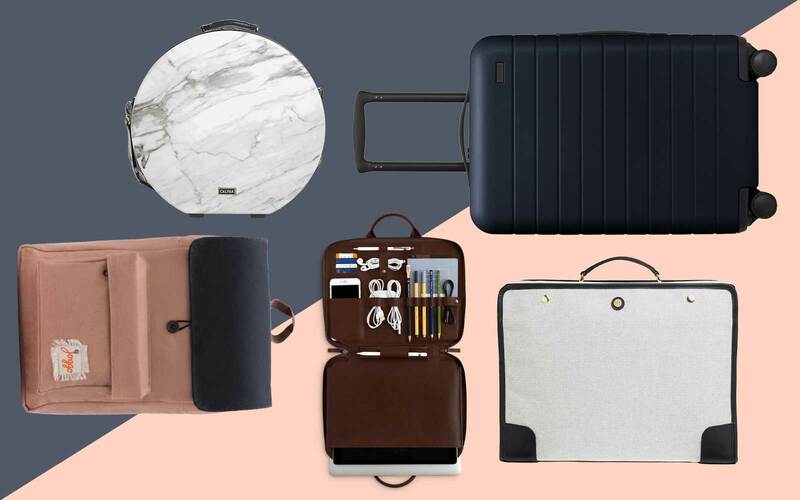 Trendsetters can reach for Thom Browne’s eye-catching striped gym bag, while business travelers in the mood for something a bit more pragmatic may find bliss in the form of Samsonite’s incredibly organized laptop bag. 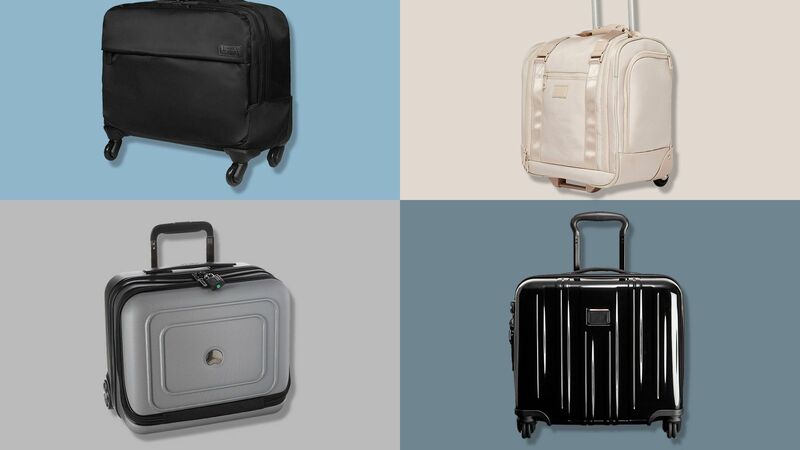 Here’s a look at some of best leather luggage on the market right now. 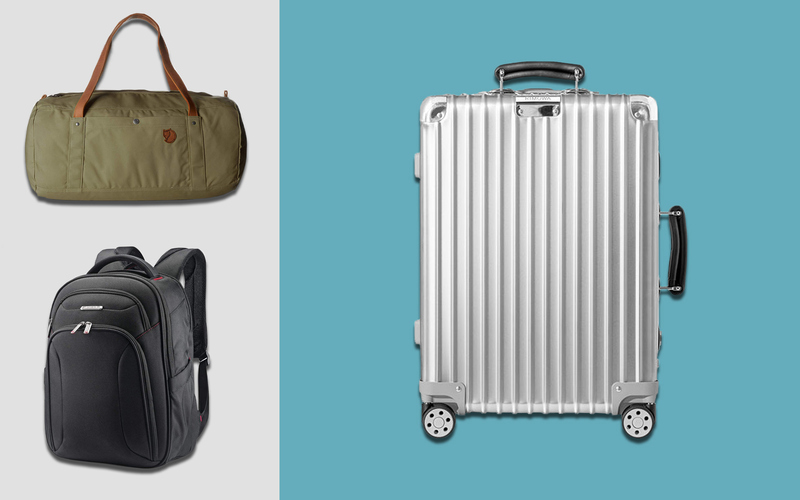 Perfect for weekend or overnight trips, this luxury duffel bag has a garment section that can hold up to two suits. The top zip enclosure keeps belongings secure, while you’ll also find zip pockets for accessories and sleeves for shoes. It includes a removable padded shoulder strap, too. It's all about the details for this one. 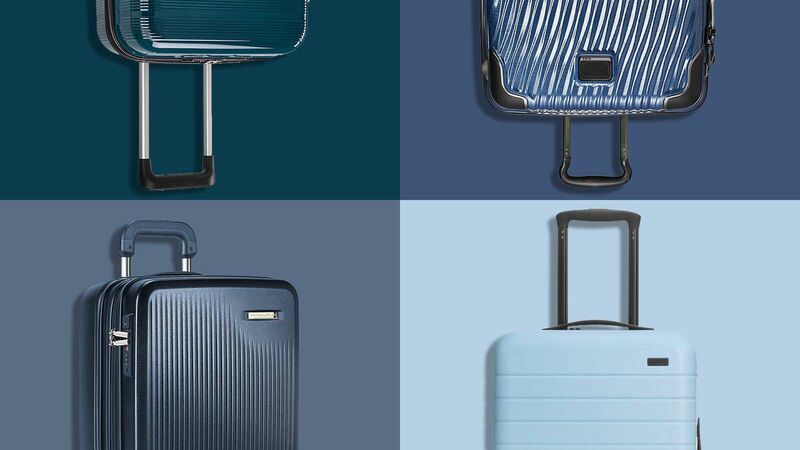 From the high-polish chrome handles, to the magnetic zippers, to the fact that it's expandable, this Tumi carry-on is as sophisticated as it is functional. Bonus: You can also add a monogram for free. 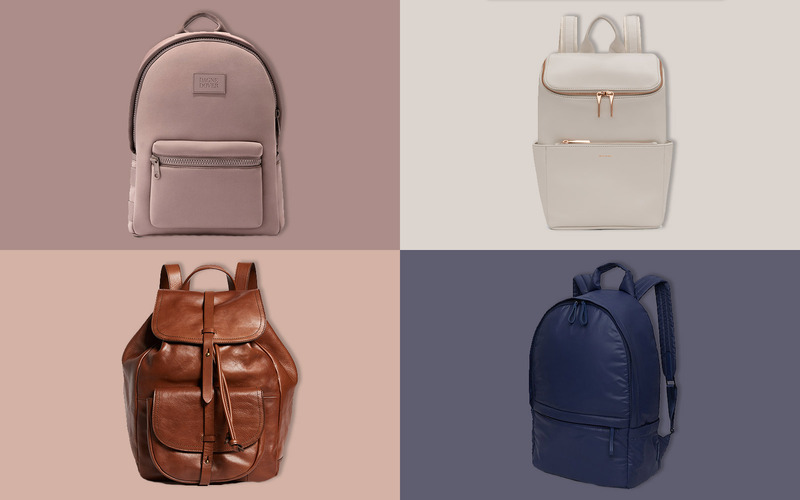 Montblanc and Mr Porter teamed up to create this sleek backpack with a surprisingly spacious interior. 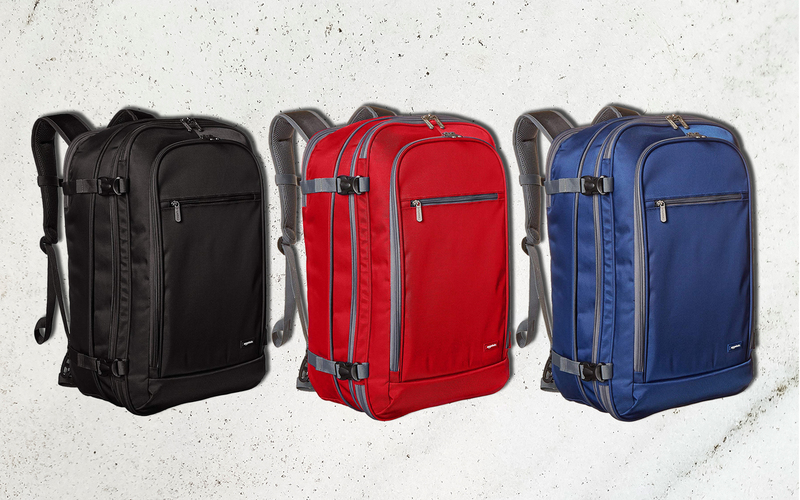 The bag is compact, but a bevy of pockets and an expandable main compartment make great use of the bag’s svelte design. 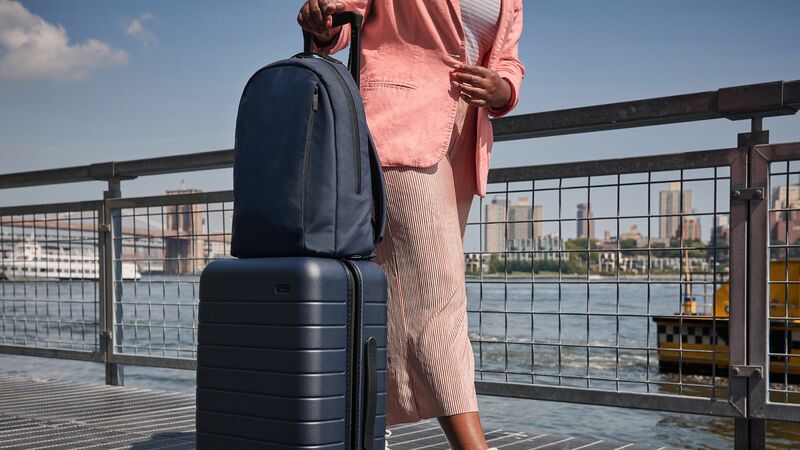 Durable saffiano leather will help protect from the inevitable dings that a traveler encounters, making it an elegant option for a carry-on or day trip pack. The unique construction is the main selling point for this duffel: the bottom compartment can be used to store shoes, toiletries, or other items you don't necessarily want to be mingled in with the rest of your belongings. Amazon reviewers also love its sturdy, structured leather that holds shape even when it's empty. This carry-on bag, made of buttery calf leather, features several zip pockets, a zip closure, and interior fabric lining. 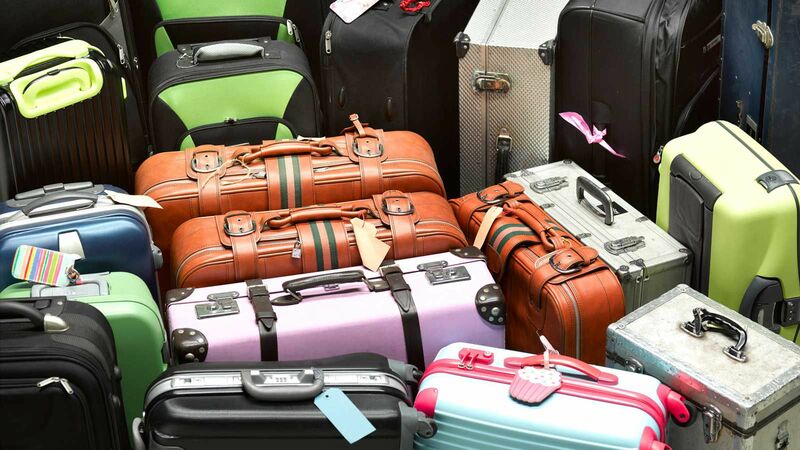 It also complies with TSA size regulations, so don’t worry about being flagged when you’re ready to board. It also comes with a padlock, luggage tag, and a detachable nylon strap. 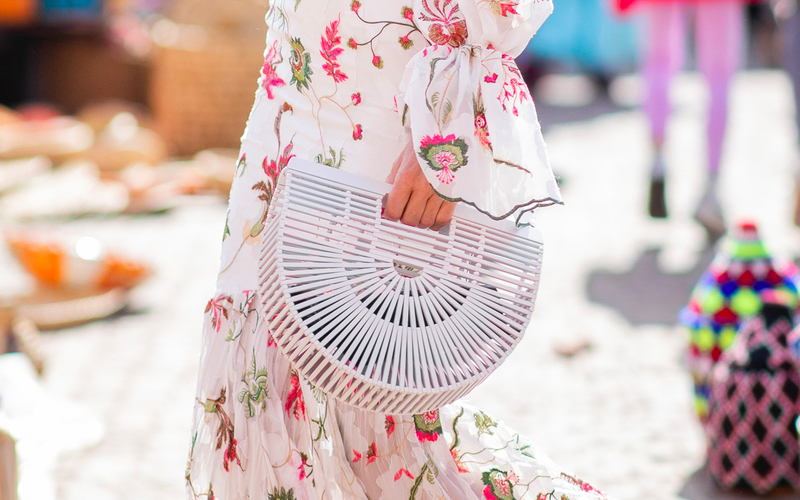 This elegant bag — designed by Barneys’ in-house label — has plenty of room for your items, whether you’re setting off on a life-changing journey or a quick jaunt for the weekend. Available in black or brown, it features polished goldtone hardware and black twill lining. 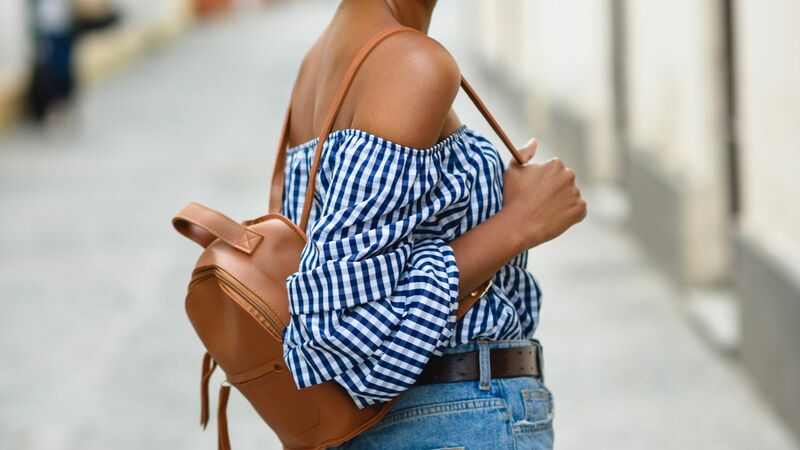 A detachable shoulder strap will keep backaches at bay. 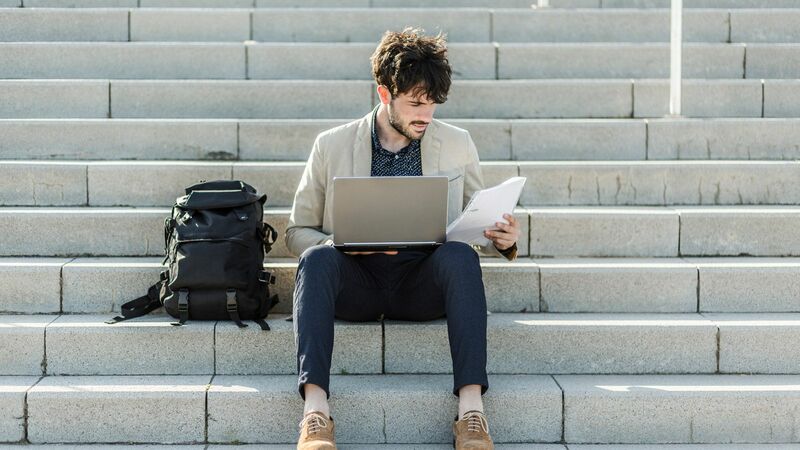 Working remotely? 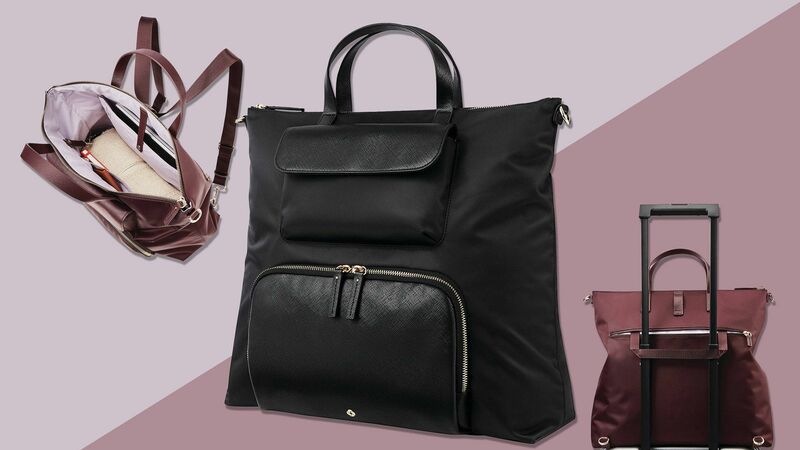 This super-organized bag has you covered with interior pockets for pens, business cards, and your phone, plus a padded 15-inch laptop compartment. Available in brown or black, it also comes with a handy limited lifetime warranty. Some things never go out of style, like Bottega Veneta’s intrecciato VN leather, which was literally built to last for decades. 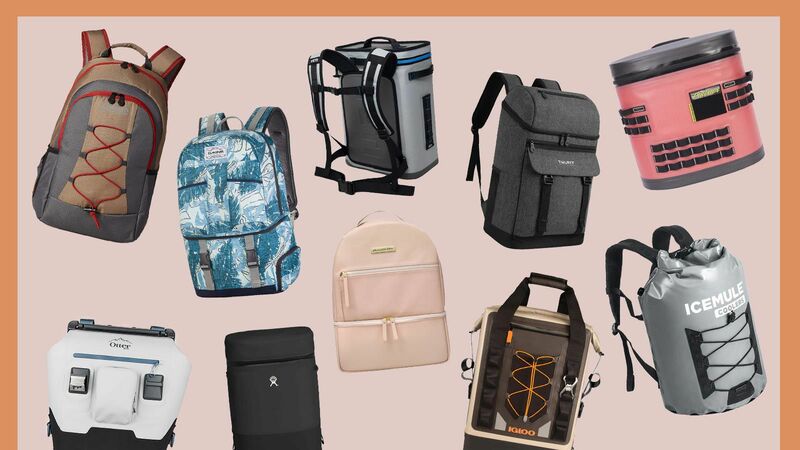 You can knock this bag — with its detachable canvas shoulder strap, lock, and two interior pockets — around for days and still be the most stylish traveler in the airport. The sporty three-stripe pattern gives this bag its distinctive look. Crafted from supple Italian leather, it’s sure to turn heads. 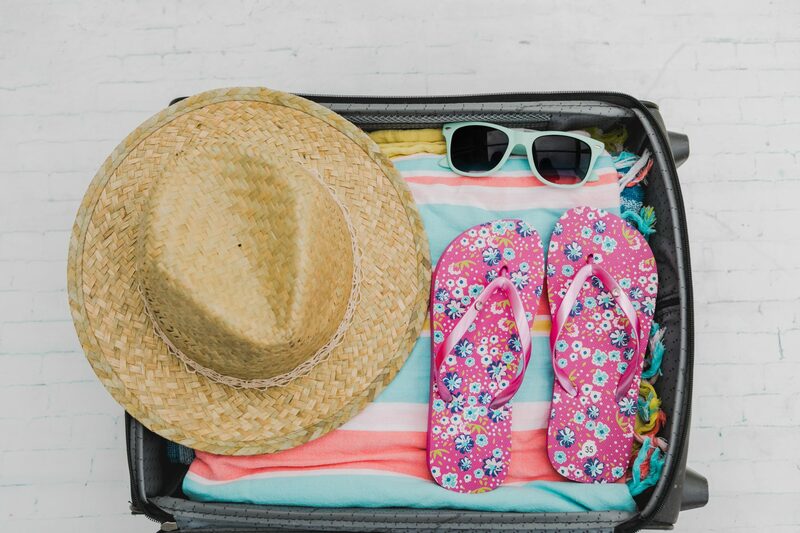 On the practicality front, the duffel also features retractable wheels and a luggage handle for when you're packing to full capacity.